Restoring your Grand Wagoneer? Our eleven (11) piece easy-to-apply Wood Panel Graphics kit is created specifically for the '81-'91 Jeep Grand Wagoneer and looks amazing. The wood grain print - Cherry Oak panel and American Oak embedded Trim - is captured in this high-definition digital print. Digitally printed with our DuraCOLOR graphic technology, kit is manufactured with premium automotive grade cast vinyl film materials. As a further step, graphic is covered with a 2 mil clear cast laminate which provides protection from miles of abuse and allows the graphic component to be covered under an Oracal OCS6 Six (6) Year Limited Outdoor Warranty. For applications where original trim is not available this kit with "Embedded Trim" is an excellent option. 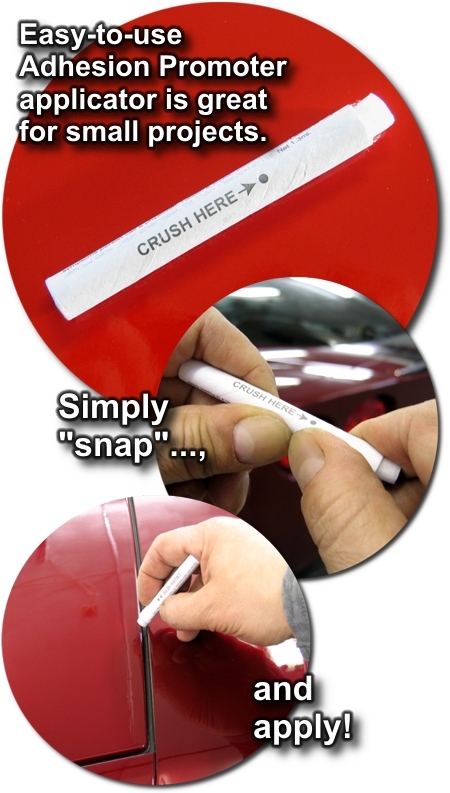 Embedded Trim is actually printed within the graphic panel, appears three-dimensional, does not require additional application and even features simulated rivet plugs as the original factory trim. Important: While kit design is based on a 1991 Jeep Grand Wagoneer, panels should fit vehicle models starting with 1981, considering slight differences in front and rear light fixtures. Thus, due to specific changes made in graphic fitment between year ranges, it's imperative to "dry-fit" graphic panels prior to installation to verify correct sizes and placement. Returns/refunds ARE NOT accepted nor allowed on panels that have been partially applied. Notwithstanding, countless hours have been spent in an effort to reproduce a wood grain product that is very close to original in grain and overall look. While color tint and shading may be different than what the rotogravure printing press produced, it's our belief that the Wood Grain Panel kit we produce - Cherry Oak (panel) and American Oak (embedded Trim) - is richer in color and provides more definition in grain pattern. Appreciation of these attributes is dependant on time of day, lighting and angle of view. 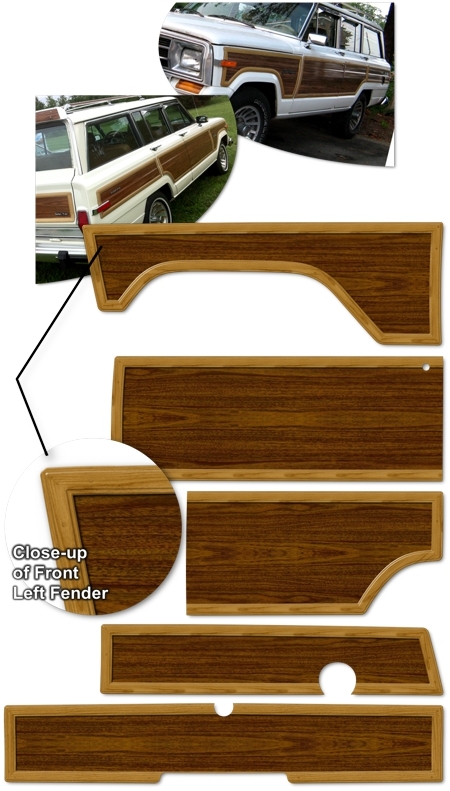 Actual sample panel of Grand Wagoneer Wood Grain is available. 'Click' Here for a Sample Request.